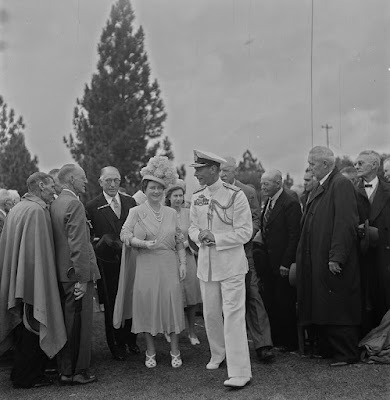 The Eliot Elisofon Photographic Archives (EEPA) is pleased to share the Constance Stuart Larrabee collection. One of the most researched photographers at the EEPA, Larrabee’s photographic collection depicting Africa will soon be available online. This large collection, dating from 1935 to 1988, includes over 9,000 negatives, 3,000 silver gelatin photographic prints, two of Larrabee's cameras, numerous scrapbooks, and manuscript materials, including correspondence, articles, and more! 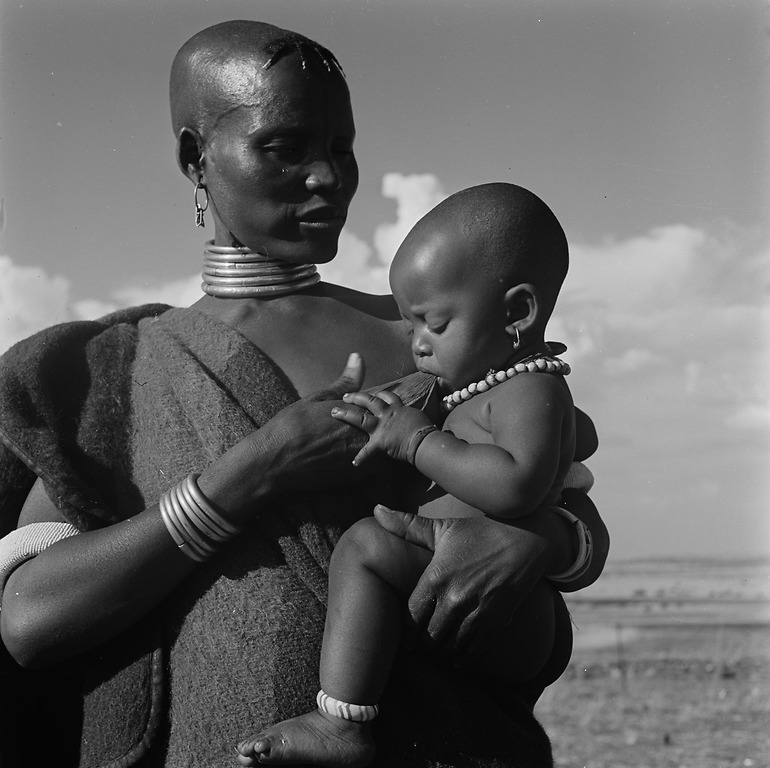 As part of the Pioneering Women Photographers in Africa project (an article about the project, published on the Smithsonian American Women's History Initiative website, is here), the EEPA staff recently digitized over 5,700 large format black and white negatives shot by Larrabee in South Africa, previously uncatalogued and inaccessible to the public. Plans are underway to process Larrabee’s remaining manuscripts and her extensive office files, which will provide insights into her photographic practice after leaving South Africa and her extensive work with exhibitions and publications in the United States. Born in 1914, Larrabee has played an indelible role in advancing the professionalization of women photographers, especially in Africa. 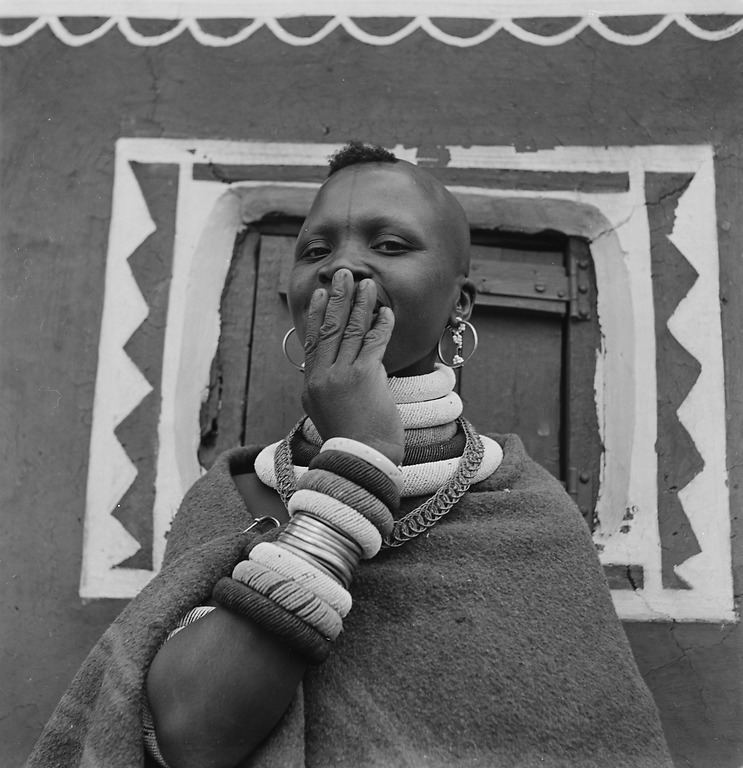 The majority of her photographs document South Africa, where she was raised. Her socially conscious photography informed the wider world about the state of education, housing, government, religion and employment in Africa. But mostly she conveyed the spirit and beauty of Africa; her work is clearly devoted to this great continent and the people who live there. Educated at the Regent Street Polytechnic School of Photography in London (1933-1935) and at the Bavarian State Institute for Photography in Munich (1935-1936), Larrabee developed solid technical skills and a style that was influenced by the avant-garde work of the Bauhaus artists. Her camera of choice was the Rolleiflex, which she used throughout her career. Upon returning to South Africa in 1936, Larrabee set up her own studio, the Constance Stuart Portrait Studio, in Pretoria. There she photographed many leading cultural and political figures of the period. 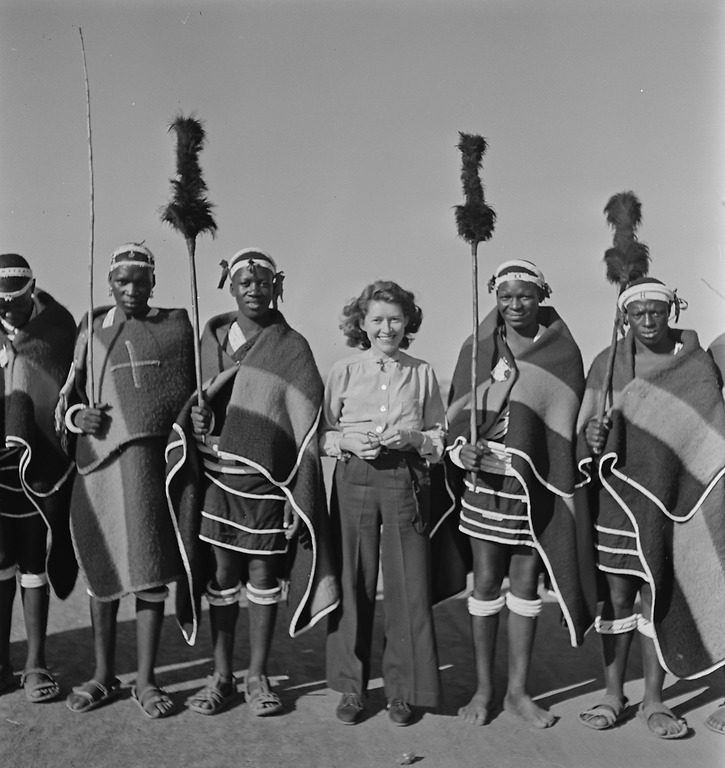 In the late 1930s, Larrabee began photographing the peoples of South Africa, but soon left her homeland to serve as South Africa’s first woman war correspondent in World War II. She worked with the South African Sixth Division in the Italian Appenines, and with the American 7thArmy in France, writing articles and sending images for publication in the magazine Libertas. Recently donated by the Corcoran Gallery of Art to the EEPA, many of Larrabee’s World War II photographs are now available for research. These images provide insight into Larrabee’s experiences during this period and reveal an evolution of style; a maturity that would inform her photography for the rest of her life. 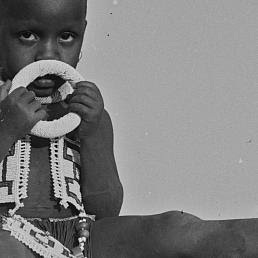 Following the war, Larrabee returned to South Africa and increasingly photographed the peoples of the country. 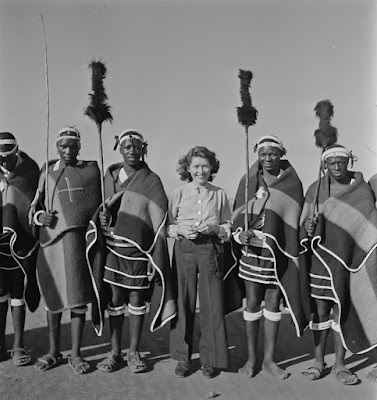 She traveled to such locations as Basutoland (now Lesotho), Bechuanaland (now Botswana), Johannesburg, Natal province, Soweto, Swaziland, Transkei, eastern Transvaal, the Umzimkulu Valley and Zululand. She documented Afrikaners, Ndebele, Sotho, Xhosa, and others. Her photographs convey a particular fascination with humanity, but also explore architecture, landscapes, and communities. 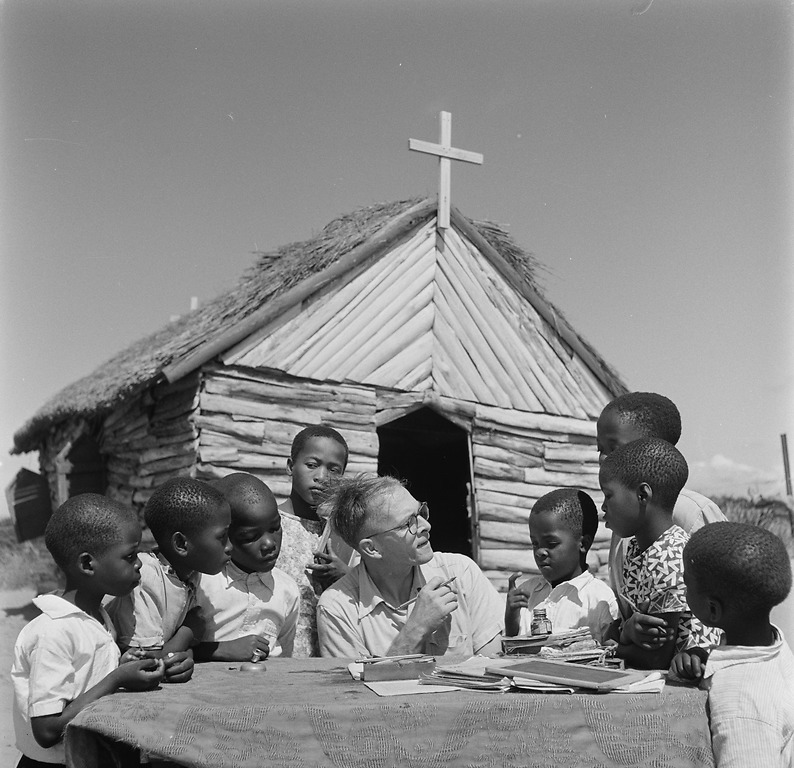 Larrabee published extensively, including a portfolio produced for the book, Cry, the Beloved Country, by Alan Paton (New York: C. Scribner's Sons, 1948). In 1949 Larrabee married Colonel Sterling Larrabee and moved to Chestertown, Maryland, where she focused on photographing the coastal regions of New England and supporting the arts program of Washington College, ultimately establishing the Constance Stuart Larrabee Arts Center. Her work was shown in major exhibitions including "The Family of Man" at the Museum of Modern Art, 1955; "Tribal Photographs" at the Corcoran Art Gallery, 1984; and "Go Well, My Child" at the National Museum of African Art (NMAfA), 1986. Larrabee passed away in 2000, leaving her photographic collection to the Eliot Elisofon Photographic Archives. We hope that you enjoy her photographs as more are posted online. You can view the collection's finding aid and explore her photographs here. 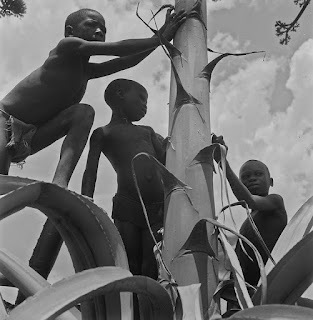 Funding for the processing and digitization of Larrabee’s photographic collection has been provided by the Constance Stuart Larrabee Endowment, National Museum of African Art. To obtain high-resolution images and permission for publication or exhibition, please contact the Eliot Elisofon Photographic Archives, National Museum of African Art.